Every third week, I address a specific health topic. 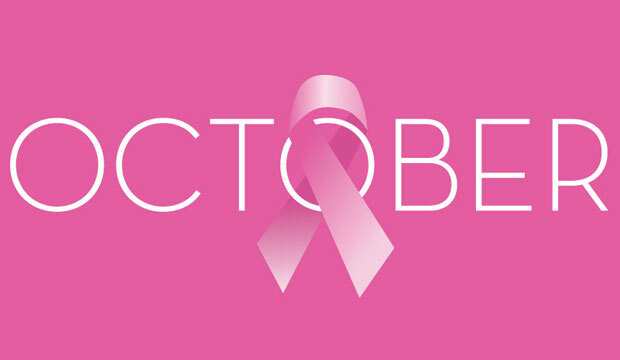 Today’s discussion is on cancer in honor of October as national breast cancer awareness month. Over the years I’ve seen patients, friends, and family members go through their own unique trials with cancer. Cancer can be trying mentally, physically, and spiritually. The diagnosis can serve a devastating blow to everyone. Life as you know it just comes to a screeching halt. Suddenly, there is a huge amount of uncertainty at a time when you’re taken with making potentially life-altering decisions. Matters best handled by a calm, rational mind are decided by a mind wrought with fear, unrest, and dreadful anticipation. Physically, whether the treatment decision is chemotherapy, radiations, surgery, or watchful waiting, your body suddenly feels extremely vulnerable to both internal and external forces. The weeks and months of treatment causing nausea, vomiting, changes in appetite, mood swings, mental fog, hair loss and other changes in appearance can change the way you relate to the outside world as well as how you relate to your inner self. Spiritually, you may begin to question the existence of God or, having once been rather agnostic, may find yourself praying to God for the first time. You are faced with your own mortality, reconsidering the meaning of life and how you may spend eternity. This is indeed such a monumental event that I consider it a time of transition from B.C. (before cancer) to A.D. (after diagnosis). Time and again I’ve seen that those who do best are those who have been able to tap into their inner source of strength—the place deep inside that always knows what is best and is waiting to provide solace, wisdom, and inner peace, sometimes amidst great external hardship and struggle. Self-hypnosis is a way to use your natural trance state to tap into your inner resources and wisdom, and to make the shift from an external locus of control, causing a sense of helplessness and victimhood, to an internal locus of control which leads to empowerment, regardless of external circumstances. It has been proven to help cancer patients deal with this challenging time with confidence and gracefully shift into a position of strength. In July of 2017, the American Society for Clinical Hypnosis (ASCH) published a special edition entirely devoted to the benefits of hypnosis in cancer care. Some of the best minds in the field have contributed to this special edition which includes topics such as using self-hypnosis to improve quality of life in breast cancer patients, and using hypnosis to help cancer patients navigate their illness. Study after study has shown improvement in many areas, such as reduction in treatment side effects, improved sleep, better mood, and overall improvement in sense of well-being. There are several people practicing clinical hypnosis throughout the country and the world. I am glad to give recommendations. There is a self-hypnosis training group Monday nights in Raleigh, NC coming up in October 2017. This is in affiliation with Duke Cancer Center. If you are a health care professional, Medical Hypnosis Consultants, PLLC is hosting its 18th annual clinical hypnosis workshop in Durham, NC this weekend. This workshop was founded by my colleague and mentor, Holly Forester-Miller, Ph.D. She is also the guest editor for the ASCH publication referenced above. You must be a licensed health care professional to attend the workshop. Hypnosis is a great tool to have in your practice and I’d love to talk to you more about how I use it in my practice as well. For more information on any of the above, please email me at drhughey@lifthealing.com. If you are receiving this through our mailing list, you can just respond to this email.